Handel? 's oratorio Messiah is a phenomenon with no parallel in music history. No other work of music has been so popular for so long. Yet familiarity can sometimes breed contempt and also misunderstanding. 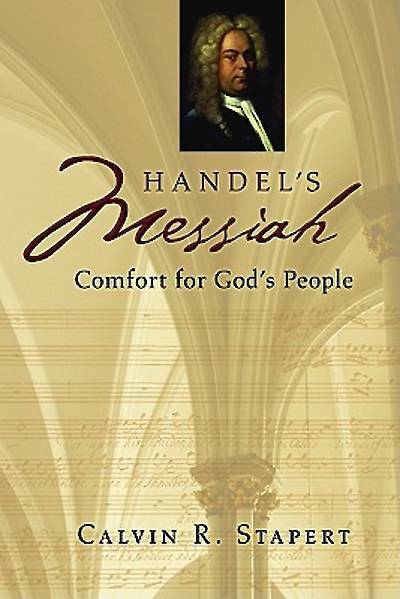 This book by music expert Calvin Stapert will greatly increase understanding and appreciation of Handel? 's majestic Messiah, whether readers are old friends of this remarkable work or have only just discovered its magnificence. Stapert provides fascinating historical background, tracing not only Messiah? 's unlikely inception but also its amazing reception throughout history. The bulk of the book offers scene-by-scene musical and theological commentary on the whole work, focusing on the way Handel? 's music beautifully interprets and illuminates the biblical text. For anyone seeking to appreciate Handel? 's Messiah more, this informed yet accessible guide is the book to have and read.